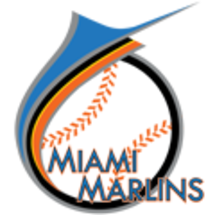 Marlins president Larry Beinfest said right-hander Juan Carlos Oviedo will become a free agent after this season, regardless of whether he makes it back to the Major Leagues in 2012, according to Clark Spencer of the Miami Herald (via Twitter). Oviedo, formerly known as Leo Nunez, was nearing the conclusion of an eight-week suspension for identity fraud but suffered a sprained elbow ligament during a minor league rehab stint. The severity of the injury is not yet known. Just reading between the lines, it sounds like Miami is not interested in re-signing Oviedo. The Nationals GM Mike Rizzo said he will approach this year's trade deadline as he has in years past, with an emphasis on deals that will make the team better for the long-term, according to Adam Kilgore of the Washington Post. The Nats are intrigued by, but not committed to, the idea of trading for a pitcher who can account for the innings they'll lose when Stephen Strasburg rests in accordance with his innings cap, although the price of brand-name arms like Zack Greinke, Ryan Dempster and Francisco Liriano is probably too high, not to mention that those pitchers are all free agents at season's end and therefore don't fit into the aforementioned long-term plans. Phillies GM Ruben Amaro Jr. is facing a difficult decision in determining what to do with lefty Cole Hamels, writes Jim Bowden of ESPN.com (subscription required). Bowden examines the plusses and minuses of extending and trading Hamels, as well as letting him walk. I got the answer to both your problems, Mets fans. We will package you both Broxton and Francoeur. You get your relief help and your righty OF bat in one trade. Hey, while I agree Broxton would help the Mets, the Mets released “Frenchy” back in 2010. Why would they want him back and especially trading something to get him back? As for the Phillies, make a trade and get younger! I think it makes sense for the Nationals to get a pitcher just for the rest of the season. Yes, they also need a replacement for Jackson long term, but that would probably be better done in the offseason when trades are less urgent, and often more buyer friendly, and the FA market is an option. As long as the price is reasonable, Dempster would be the ideal target. I have no idea how Francisco Liriano got lumped in with Dempster and Grienke. His price is VERY low. The Twins are never going to offer him the $12.4 million required by the CBA for compensation were he to refuse it. Which he wouldn’t because his monetary value is likely $6-7 million. His trade value at this point is barely above a bag of balls. Because of the CBA rules. And he is no where as good as Dempster or Grienke.